In part one of this series, I wrote about how I decided to buy a Tesla in Ohio, which didn’t seem like the most logical decision for a guy living in California (2,300 miles away). 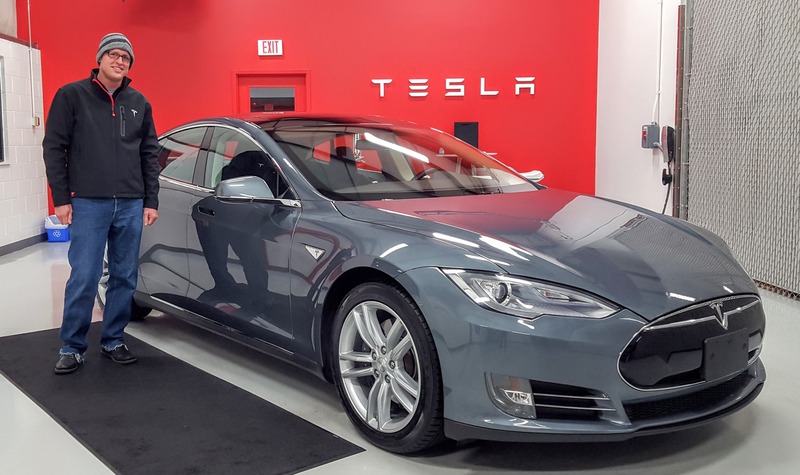 This second post continues the adventure, as many of the learnings speak to the overall Tesla buying experience, the culture of Tesla, and perhaps even to the future of Tesla. Tesla picked me up out front of my house in a fully loaded Tesla Model S P90D with Autopilot (!) for the trip down to the Los Angeles Airport, which ended up being right around 75 minutes long. That’s only relevant because most of the driving was on the freeway, with occasional traffic as we neared the airport. Most of the way, Antonio was using autopilot which deftly maneuvered through traffic, our speed ebbing and flowing as traffic picked up and died down. Having driven with autopilot for a short distance in a recent test drive, this longer haul was an impressive example of how autopilot works on a longer trip, with traffic. Many of the freeways on the route were narrow, steep, and congested, making the drive all the more impressive. Leveraging autopilot allowed us to talk more freely, pay less attention to the non-value-add parts of the driving experience. It made for fewer sudden stops, a more predictable and smooth pace, and, ultimately, a safer journey as well. Autopilot doesn’t get distracted by hot girls, bright sunlight, twinkies, or fast cars… it just does the job it’s supposed to do, all the time, every time. Yes, it is still learning, there are still opportunities for improvement, but overall, autopilot represents progress like nothing else I have seen on the road. We arrived at the airport and I have to say, I felt like a king. Rolling up to the curb in a car most people probably didn’t recognize but that I knew was the best electric car in the world… was a great feeling. After getting through security, I found that my flight had been cancelled less than 1 hour before takeoff and with the pickup date for my Tesla being the evening before a double holiday (New Year’s Eve and New Year’s Day), I immediately emailed the Tesla guys I had been working with in California and in Ohio, begging for options and flexibility. They were extremely responsive and flexible to such a degree that I’m certain they were eating into personal time to help me out. Michael offered to pick me up from the airport in Los Angeles (I had been re-booked on a flight some 16 hours later than planned) and my delivery expert in Ohio, Scott Bowser, offered to come in on New Year’s Eve to deliver my car. It was reassuring to know that they were making the process easier and reducing stress in an already awkward situation. Fundamentally, I know I’m making a huge purchase and a part of the process is just making the sale, but these guys went above and beyond to make this unfortunate situation work out extremely well while maintaining a high level of professionalism and class throughout the process. Thankfully, I artfully worked around/with/through the airline system to get a shorter flight that was close to our original schedule and, after moving to a new terminal and waiting a few extra hours, I was on a plane touching down in Columbus, Ohio. Similar to my experience in Los Angeles, after a few short minutes at the terminal, I was loading my bags into a loaded P90D that garnered looks from my former cabin mates asking what kind of car *that* was. I smiled and shared a bit about it, then hopped in. Inside the cockpit of the P90D, I met CJ, who I learned would be on point to get me up to speed on the ins and outs of my specific car. CJ knew everything about the car, the process, and the history of Tesla in the area, which made for a fun and informative ride to the service center. Upon arriving at the service center, CJ wasted no time taking me into the delivery bay, where I saw my Model S for the first time. It looked brand new inside and out. With just over 45,000 kilometers on the car, I was expecting a few signs of wear, but they just weren’t there. From that point forward, I’m certain I had what was surely a goofy smile plastered to my face. When I was still in California, Michael had plugged me in with Scott Bowser from the Tesla Service Center in Columbus almost immediately after putting down the initial deposit and was told that, as my Ohio delivery expert, he would help me to work through the logistics and details on the Columbus end of the deal. It seems like he might have drawn the shorter straw, as he primarily handled the “fun stuff” aka paperwork, but he knew his stuff and we made quick work of it. After working through some interesting differences in how California and Ohio process vehicle registration and auto loans, I excitedly hopped over to CJ, who walked me around the exterior of the car as he talked me through each and every feature as lightly or thoroughly as I wanted. To be honest, I really just wanted to drive, but knew this quick intro would round off some rough corners, so we hopped into the car and started poking around at the features built into the massive touch screen interface. He knew every bit of the car that I had interest in and quite a bit more, I’m sure, but at the end of it, I felt ready to charge out and attempt a 2300 mile road trip home. At the end of it all, they offered me a few snacks and a nice (Tesla) water bottle and I drove out into the night…. Throughout the purchase process, I was impressed with quite a few things about the Tesla team. They all seemed to be genuinely happy. This may seem like an odd thing to call out, but one of the things I dislike the most about just about any other car dealership is how the people that work there feel hungry (for a sale), fake, forced, and just yuck. Flipping that over to Tesla and everyone I worked with was happy, personable, knowledgeable, and professional, with speedy responses to questions and inquiries — and they just seemed to want to be there. Nothing fake or “work” about it. It was like we were all hanging out… everyone was excited that I was getting a car… nobody tried to upsell anything. If anything, it was the opposite! I found out that my car came with a wall charger. That wasn’t listed on the CPO site and that’s a $1,200 item! It was a great process and leaves me kinda wanting to buy another one… after autonomous driving has been rolled out. 😀 Until then, I’m in no hurry to buy another car… I just want to enjoy the one we have for many, many miles. 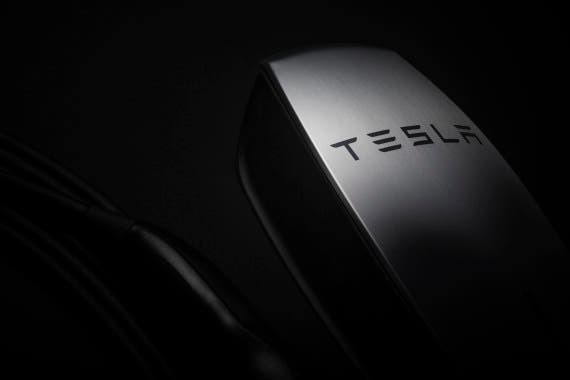 Stay tuned for the next installment, where I hit the road and give long distances and dozens of Superchargers a go….